With the now steady 100-degree-plus temperatures here in Lake Havasu City, we surprisingly are having more visitors to our park on weekends. Apparently, since it’s also hot in California, a lot of Californians are driving to Crazy Horse, and when that happens the voltage in the park drops as more air conditioners and microwaves are used. We use a plug-in voltage meter to measure the park voltage coming into our park unit (or motorhome), and when the voltage drops below 108V, it’s time to hook up our voltage regulator. Basically, it can “boost” incoming voltage by up to 10% — so 108V becomes 118V. Since low voltage can harm motors (like a refrigerator compressor), we choose to boost. 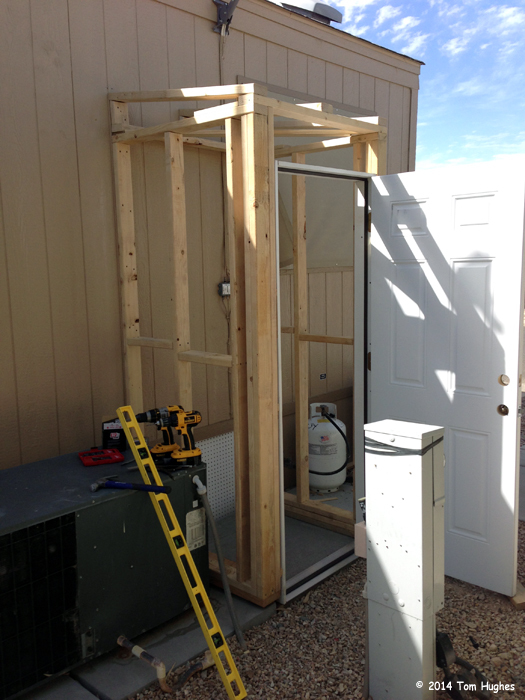 Work continues on our water softener shed. We should have it done in another few weeks and then we can have our rental softener installed. Maybe not the best bedtime reading, but . . . Though this study is probably intended more for RV park owners rather than RVers, it contains some interesting information about RVers and RV parks. Americans currently own nine million RVs, a million more than on the road five years ago. Fuel prices would have to triple to make RVing more expensive for a family of four than other forms of travel. A standard RV uses only 27 gallons of water/day, whereas a household consumes 150 gallons/day. Greenhouse gas accounting confirms that actual RV travel creates a lower carbon footprint than comparable air/drive/hotel vacations. 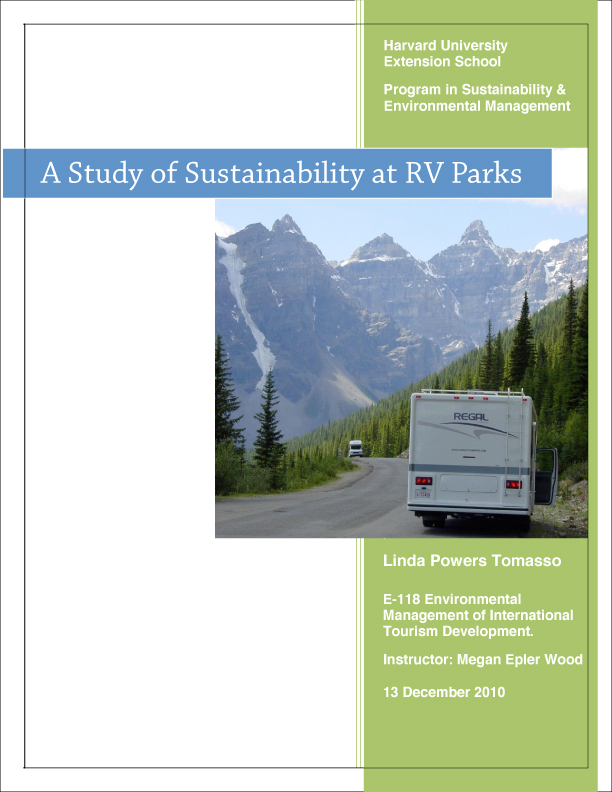 A Study of Sustainability at RV Parks (2010) by Linda Powers Tomasso.